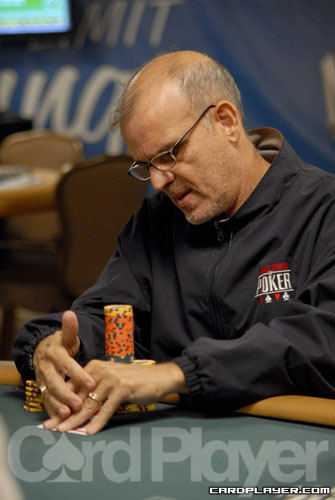 Jason DeWitt narrowly missed out on winning a World Series of Poker bracelet in 2009, finishing in second place in one event and third in another. Some players try their entire lives and never come that close again. DeWitt only had to wait until the next summer arrived. He sat down at the final table of event No. 17 ($5,000 no-limit hold’em) Thursday with the fourth largest chip stack. After outlasting some of the best young guns in poker in the likes of David Benefield, Jeff Williams, and Amit Makhija, DeWitt took part in a long and technical heads up battle against UK-native Sam Trickett. The action spread into the early hours of Friday before DeWitt took down the final pot, and with it his first WSOP title and the $818,959 first-place prize. It was the Indiana-native’s fourth WSOP final table experience, and the win put his career tournament winnings over $2 million. Trickett, who had been relatively quiet on the poker scene since making a WSOP final table in 2008, took $505,725 for his runner-up finish. After a slow heads up much that saw some hands take as long as ten minutes to complete, Jason DeWitt got the better of Sam Trickett to win event No. 17 and $818,959.